Has anyone tried the Gates RPM belt? Did you like it? I would like to know as well. Subscribed for updates. I used one and it worked great. They stretch ZERO from new once you put them on which is nice and made a touch more boost at redline because they are a little more sticky than the green belts. The only size they made that was close to fitting my car ended up being a touch too long so had to move to a slightly smaller belt unfortunately which is not made in RPM size. I was hoping it would work on my car and if they had the 915 size my car takes i'd use it for sure. where did you get one At? A Gates rep sent me a pair of them for free to the shop to try out but I know that they can be ordered at O'Reillys auto parts stores. A lot of diesel truck parts stores carry Gates as well. Give them the part number at Oreillys and they can order it. The rpm belts are even on there website. they work well, I am starting to stock some of the common sizes. Cordes Performance Racing aka "CPR"
Well I didn't know this. I texted you. I tried that at multiple O'reillys with zero success. their employees are idiots. faster and easier imo to just order from someone like CPR here who knows what they are doing. have heard stories of people "special ordering" RPM belts from oreily only to show up and find a gates green belt. Looks like RockAuto has some of the RPM belts. interesting. 888 is not on gates list. did you get it? hm, 882 is even $10 less. i thought they were expensive. Last edited by romandian; 06-17-2017 at 02:52 PM. i got a rpm belt 5 mm longer that the belt i had. when installed its a little shorter than the old belt, reducing wrap. the pulley is about 15 mm lower now. ill be trying the next size, as soon as i order from them again. Last edited by romandian; 07-08-2017 at 02:52 PM. I'd like to give one a try, never cared much for the green HD belt anyways. I've had a batch of that size on back-order for a month now. Once they ever arrive I'll try to remember to hit you up. 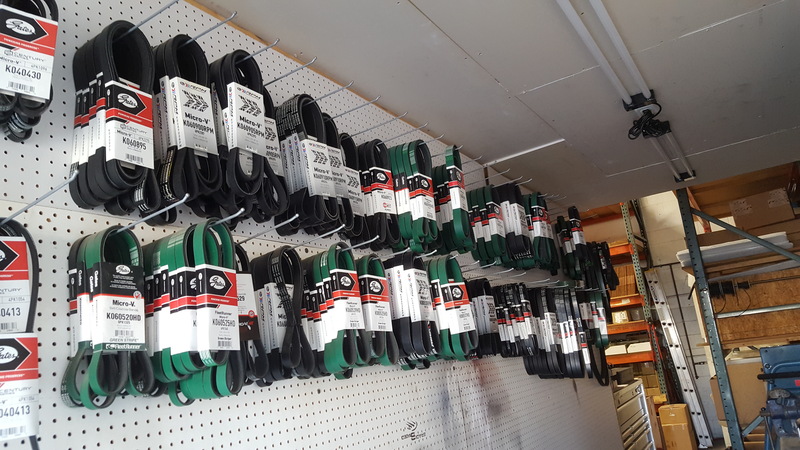 We really like the new RPM belts and have started stocking up on those as the new first choice in the sizes available. now, that i installed the rpm belt it occured to me that maybe its harder on the blower, because its less flexible. any thoughts? Not something I'd be worried about though.